The announcement was made at Westmead Hospital on Monday. 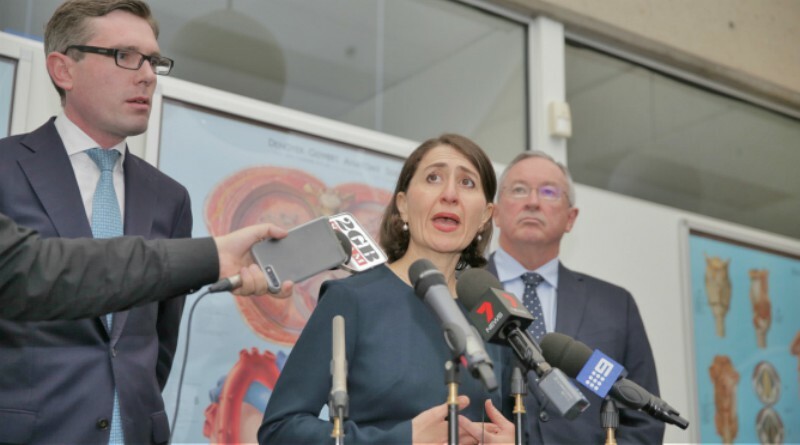 At a press conference held at Westmead Hospital yesterday, Premier Gladys Berejiklian, Treasurer Dominic Perrottet and Minister for Health Brad Hazzard said the upcoming NSW Budget will invest an additional $100 million in palliative care services over the next four years. “From additional nurses in frontline palliative care to funding for 24-hour community care services, this is a package of funding that will have a powerful and tangible impact across the State,” Ms Berejiklian said. Palliative care aims to improve the quality of life of patients with an active, progressive disease that has little or no prospect of a cure. Mr Perrottet said: “I am incredibly proud that this Budget includes the most serious commitment of any government in NSW history to give people at the end of life’s journey, and their families, the peace, comfort and support they deserve. Mr Hazzard said the initiative includes a range of professional training measures. “This package includes training for 300 nurses and allied health staff, 300 scholarships for rural and regional staff to enhance palliative care skills and 30 additional nurses in hospitals, homes and nursing homes,” Mr Hazzard said.